Multipod™ High Intensity LED Lighting System. 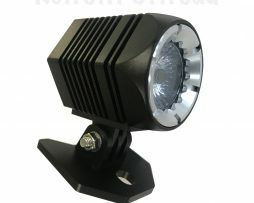 The Multipod™ Single LED feature bright CREE LEDs in a spot or spread beam pattern inside a compact, rugged Aluminum housing with precision reflectors and adjustable mount. Our Multipod™ LEDs put the FLEX in Flexiblity – the rugged and compact design allow you to mount the Multipod™ Single LED lights virtually anywhere on the vehicle. Combine the Multipod™ Single LEDs with our custom Jeep Wrangler TJ and Jeep Wrangler JK Multipod™ Mounts.